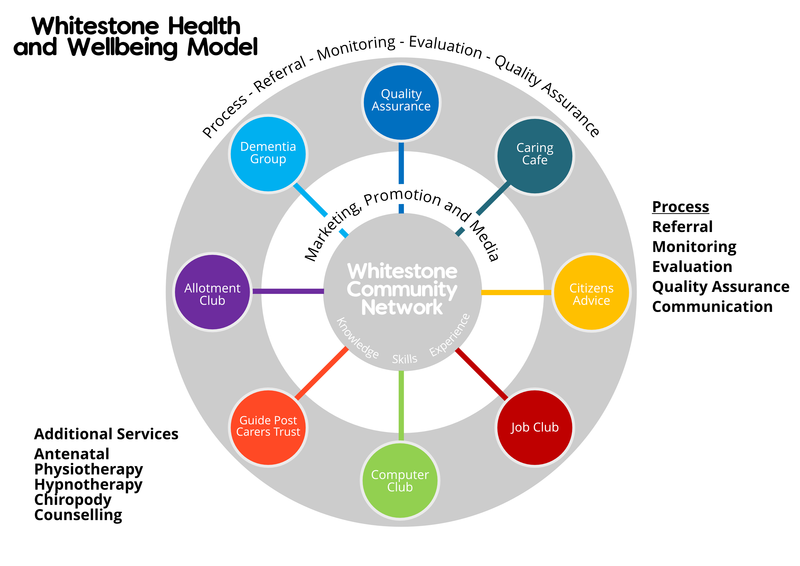 To be an independent, voluntary, patient- focused voice representing the views of the population and communities of Whitestone Surgery. With specific reference to health and social matters that influence the strategic planning of the surgery while ensuring compliance to high quality standards. The vice chair will be elected for a two-year term of office from within the PPG membership. The role of the vice chair will be to deputise for the chair. The Secretary will be appointed from within core membership. This will be from the patient data base of the Whitestone practice. Quorum: senior partner of Whitestone Surgery or nominated deputy, chair and/or vice chair, minimum of four of the listed members. III. To act as a voice for the patients to ensure that the views of the community are represented in decisions on health and social care matters. IV. To network, establish links, work in partnership with, the community, other organisations/agencies/established groups to ensure a coordinated approach to engagement and involvement with `all groups` with health and social care interests. VI. To be involved in quality assurance of all services provided for and accessed by the patient population.